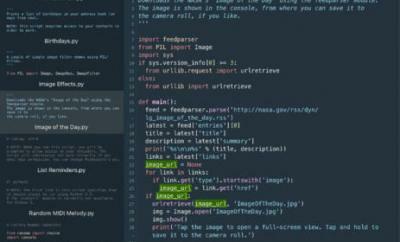 Python is one of the most popular programming languages around. 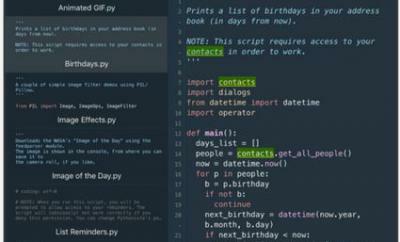 Whether you are into AI development, DIY electronics, IoT, or data science, Python can handle it. You don’t have to start learning it with a thick book either. 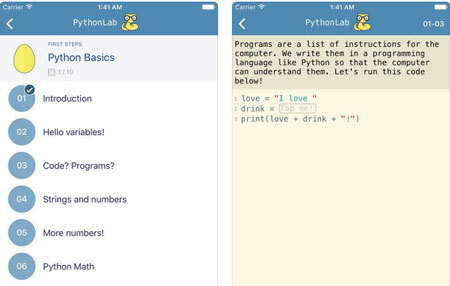 Python Lab is a simple app that provides you with bite-sized lessons. The free version of this app comes with 4 courses you can try for free. By using Python Lab, you will learn about variables, strings, numbers, math, and other basic concepts.